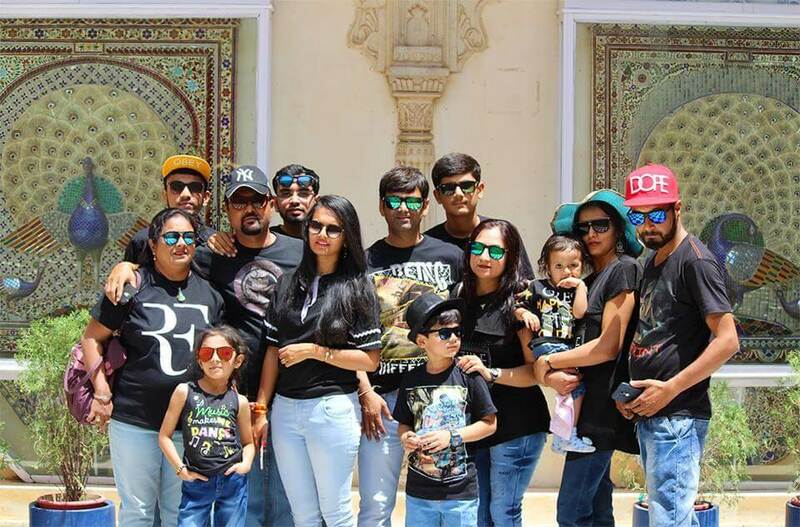 It was an extended weekend, and we planned for a religiously fun-filled trip to Shamlaji – Udaipur – Nathdwara and Keshariyaji from Ahmedabad. Though the plan was made on last moment, there were no tickets available with railways and airways. 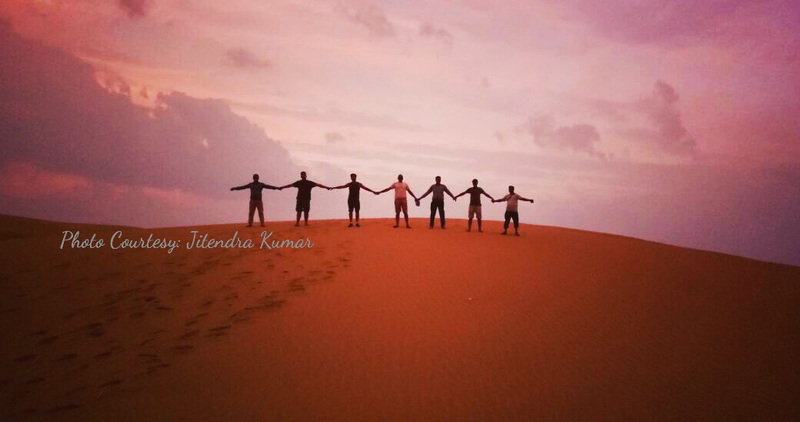 Thus, we agreed upon for a road trip, giving us a better chance to enjoy the journey and click beauties on the way. Here is the complete travelogue for you. We started the early morning at 5:00 AM from Ahmedabad. We took NH48 as the road is flawless and in excellent condition; the drive was comfortable. By 7:20 AM we reached Shamlaji. 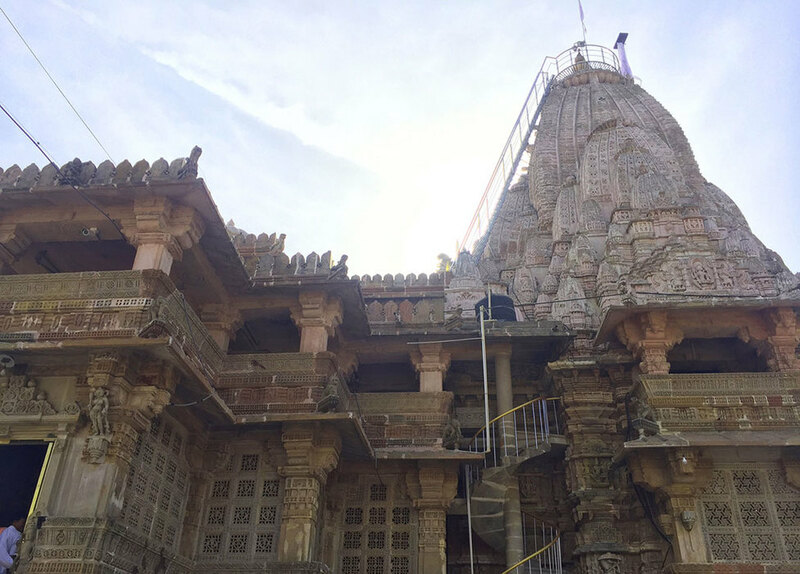 The temple is a well-known Hindu holy place located on the banks of the River Meshvo in Aravalli District of Gujarat. Beautiful hills and valley surround the temple. The temple was built in the 11th century and has undergone many repairs by now. It is famous for its historical influence and attractiveness. We prayed there and had our breakfast on the the llasand restaurants in the temple's vicinity. You Should Notice: The stone carvings of the temple, eye-catching idols of lords and stunning domed temple ceilings with a large pinnacle. Around 9:45 AM we left for Udaipur via NH48. The road was well-built, and the way was happening. Everyone was enjoying the road trip to its best. We arrived at Times Fateh Vilas Resort – Udaipur around 1:00 PM. Had our lunch and decided to rest for a while in the noon hours before we gear up to explore Udaipur. Hotel Fateh Villa's nearness to Fatehsagar Lake makes it the more beautiful place for the stay when compared to others. Besides its distance from Udaipur Railway Station (4 Kms), Roadways Bus Stand (3 Kms), and Airport (22 Kms) makes it more feasible to choose to stay. 14 well-equipped comfortable elegantly adorned AC rooms provided with all up-to-date facilities will make your stay a pleasurable. It has 360˚ sight of the city from the rooftop restaurant. The swimming pool is cleaned regularly (as stated by hotel staff). After spending relaxed time in the swimming pool, we carried on. In the early evening hours, we visited the Sajjangarh Fort which is also known as the Monsoon Palace. Named after the MaharanaSajjan Singh of the Mewar Dynasty who ruled Udaipur from 1874–1884. He built it in 1884. 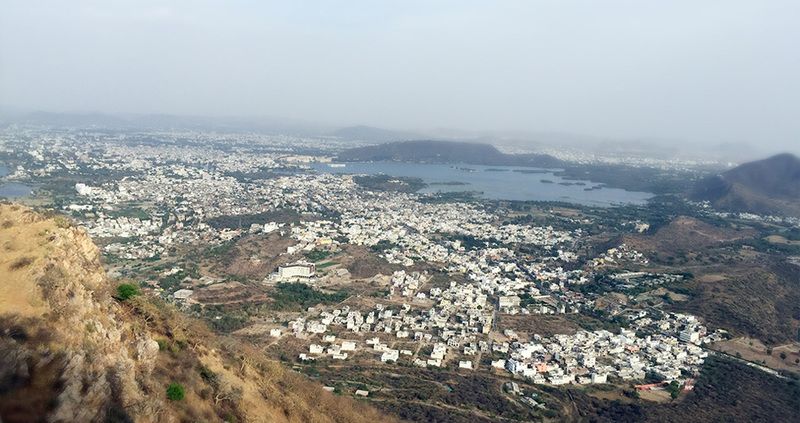 The city's lake, palaces and nearby rural areas along with the FatehSagar Lake are visible from here. It was constructed primarily to predict the downpour. 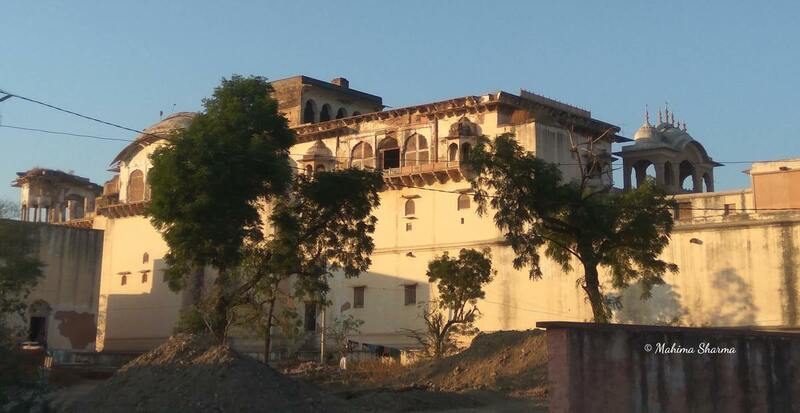 After the sunset, the brightened palace with the Rajasthani structural design including domes, spouts and jharokas offers it a heavenly look. The fort is approximately 6.5 Kms from the hotel. It has the breathtaking view from the hotel area; it seems as if a golden crown is placed on the hilltop. You Should Also Visit: Sajjan garh Wildlife Sanctuary and Sajjan garh Zoological Park. In the late evening hours after returning from the Fort; the evening time spent at Rajiv Gandhi Park and Fateh Sagar Lake. Take a boat ride and satisfy your taste buds at the local foods joints here. The evening spent here is the best part of being in Udaipur. The day began with the beautiful sunrise from the hotel room's window. We had our breakfast and left for the Udaipur City Palace. It is barely 5 Kms from the FatehSagar Lake. Being one of the architectural geniuses of Rajasthan, it is situated serenely on the banks of Lake Pichola. It is the delightful combination of Medieval, European and Chinese Architecture. Its construction started in 1559 and continued until the 18th century. It is the most attractive garden with lush green grasslands, marble fine art and fountains. 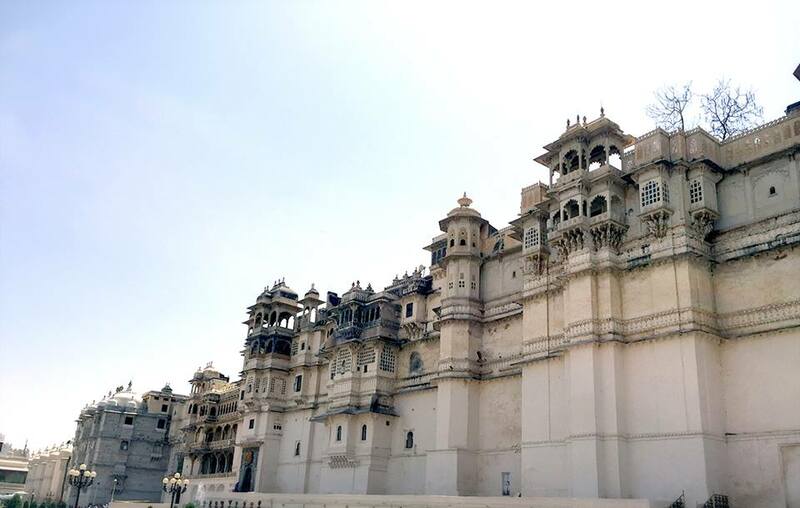 It was constructed in the 18th era by Maharana Sangram Singh for the imperial women. The garden is inflated with various sprays in its four water puddles, carved booths and marble giants. Being one of the most lovely, oldest and most important charming lakes of Rajasthan; Lake Pichola will steal your heart. It is stretched to 4.8 km in length, 3.2 km in breadth and has deepness of 30 feet. It was made by PichhuBanjara in the governing era of MaharanaLakha. We were back to the hotel for the night stay at around 10:00 PM after the dinner and local shopping. Touts will lure you for quick darshans. Be strict with them and say a No. Follow the temple guidelines. There are many open parking spaces available around temple except for pick days. From parking to temple it is a walking distance of just ten mins. 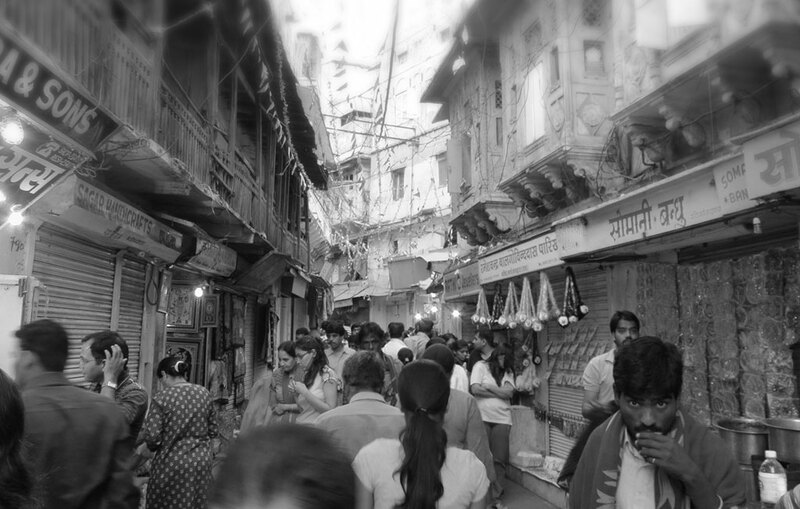 After darshan, there is the reasonably big market to shop and have food around. You can try different local foods from the shops around the market, or you can stay at Dharamshala. There are plenty guest houses and dharamshalas merely available at nominal rates except festival days and holidays. 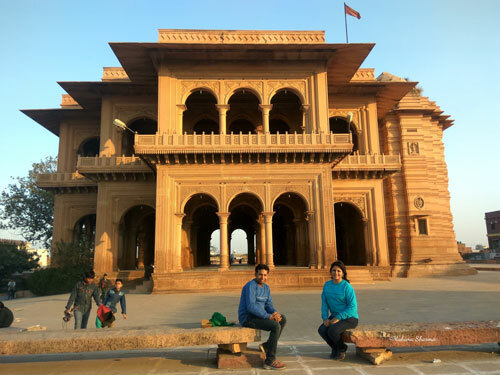 We chose Damodar Dham for some rest and had great Rajasthani food. It is 5-7 mins walk from Shrinathji Temple. After blessings from Shrinathji, we move towards Kherwada. On our way, we visited Keshariyaji Jain Temple. It is believed to have built this temple with beautiful architecture before the 15th century. ShriRishabh Dev Digambar Jain Atishaya Kshetra or Kesariyaji Jain temple is situated in the village Dhulev of Udaipur. We did quick darshan and moved towards Ahmedabad. But, before reaching home, how we can miss one last chance to taste the real Rajasthani food at very famous Jain Daal Bati at Kherwara. We met Mr Natwaralal who resembles with the real hero Bhagat Singh. He is very kind and enthusiastic about the self-preparing delicious recipe and taking care of each customer. This gives a real sense of customer satisfaction. They traditionally serve Dal Bati Churma and will also teach you to eat the same traditionally. 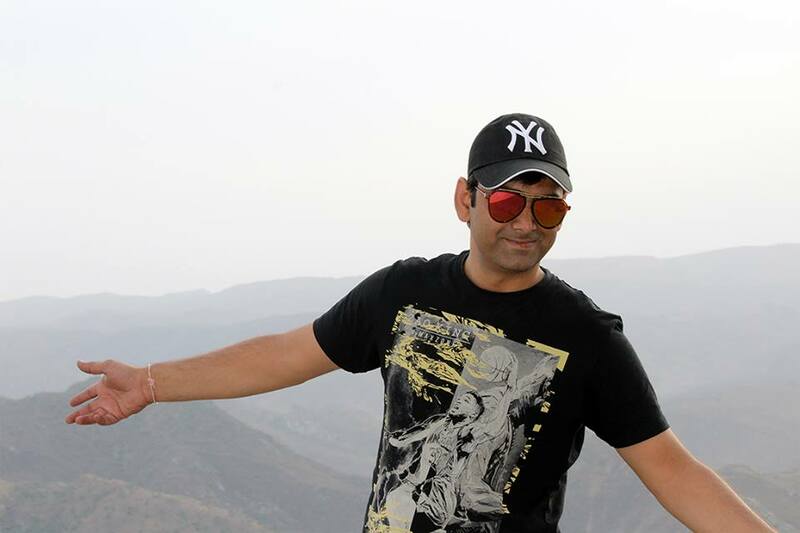 It was a memorable trip; Udaipur is the best place for visiting with family and friends. With my heart full I promised to return to this magical place soon as there was more left to this city. Beautiful clicks and nicely explained the itinerary. Thanks for sharing wonderful information.